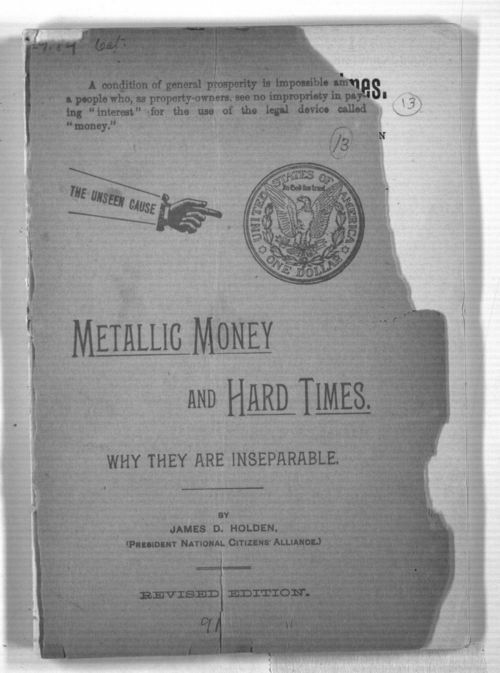 James D. Holden was serving as president of the National Citizens' Alliance when he publised the revised edition of this pamphlet. Holden, a resident of Emporia, Kansas, was studying the causes of the current economic depression. This pamphlet shares his opinions with readers. Holden was an ardent Populist and his opinions reflect those beliefs. This is a revised version of item # 209315.